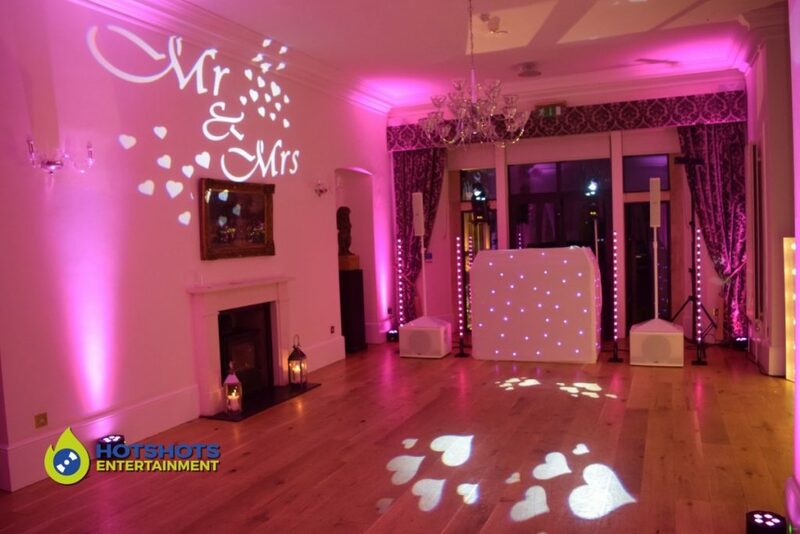 Congratulations to the lovely Mr & Mrs Randell who got married at Old Down Manor on the 25th January 2019. 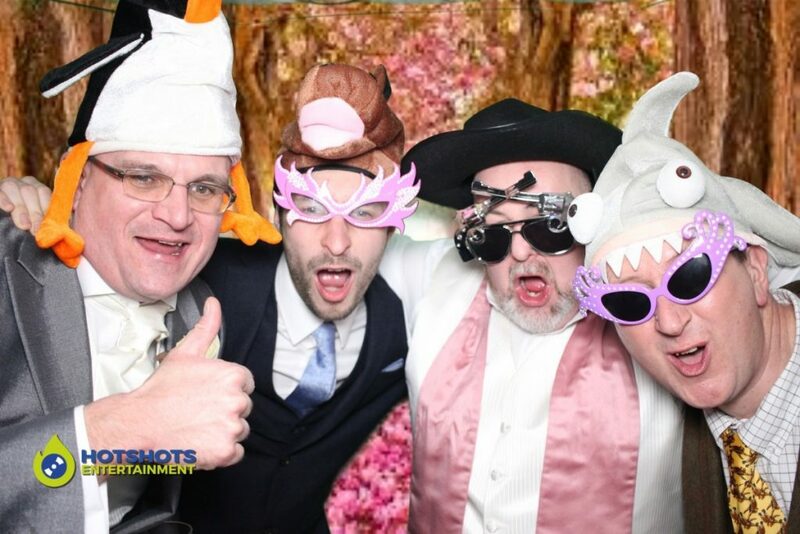 Hotshots Entertainment was booked in to provide a Wedding DJ with Morf and a Photo Booth Derrick was on duty for this. 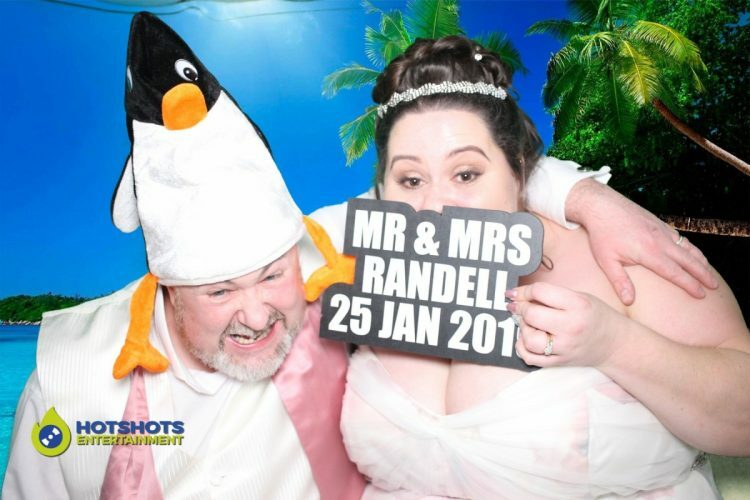 They had a 3 hour photo booth with 60 wedding favours and everyone loved these. A little colour coded gift bag with a key ring inside. The evening started off with some sparklers outside while Grace Studios were doing the filming and photography. 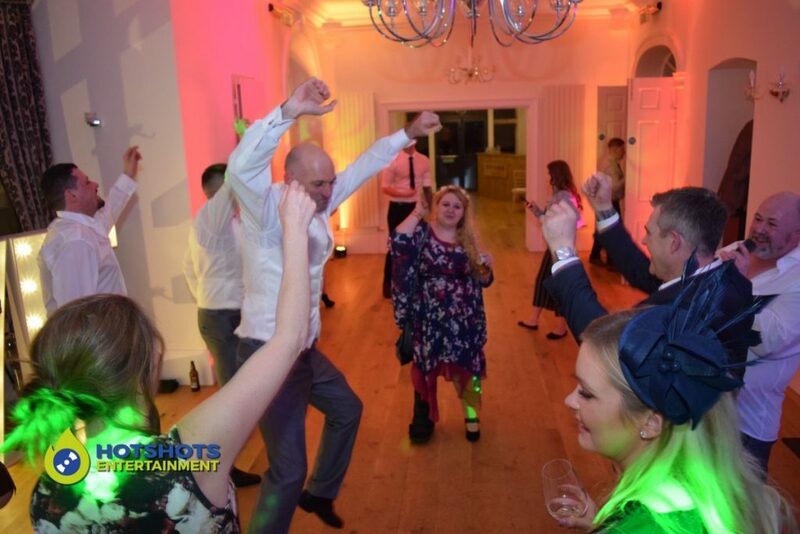 After we got everyone into the main room for the first dance. This was Perfect Symphony by Ed Sheeran and Andre Bocelli a lovely song for the happy couple. About half way through we got everyone to join them. 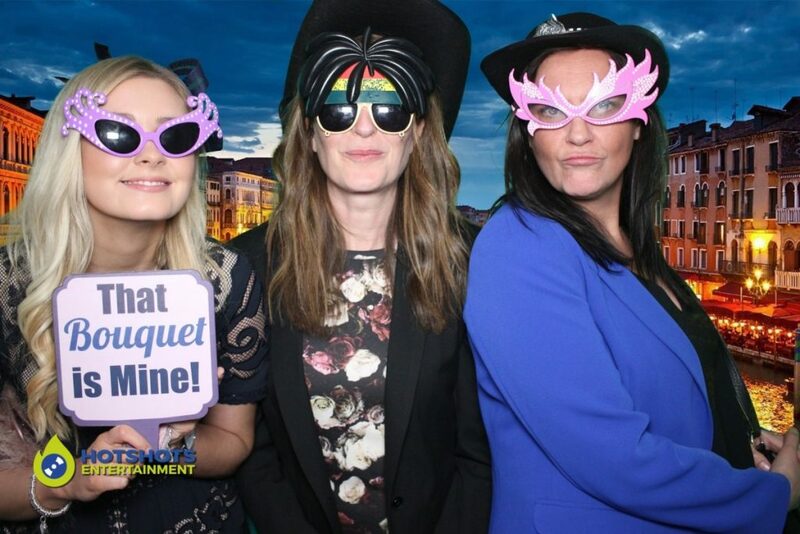 Photo Booth time, there was loads of fun going on in the booth. Plenty of smiles and laughter, with guests loving their key ring option. 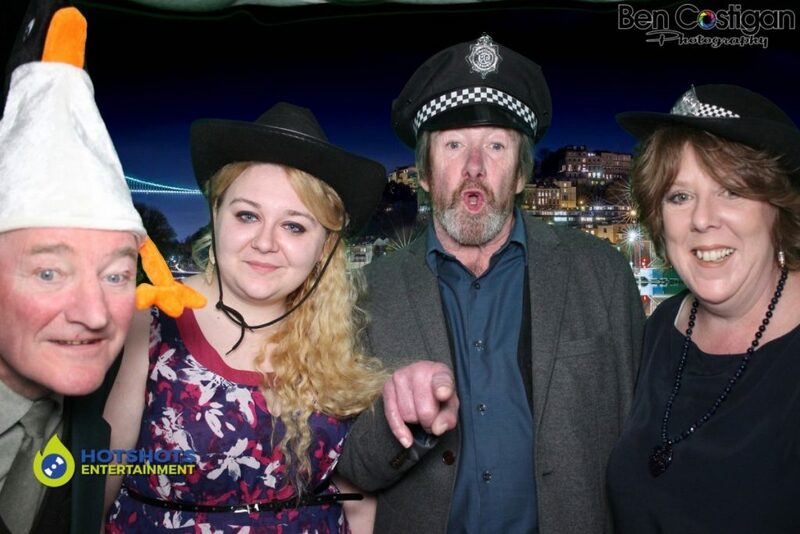 We had the inflatable booth up with the green screen going and it looked lovely in the room. 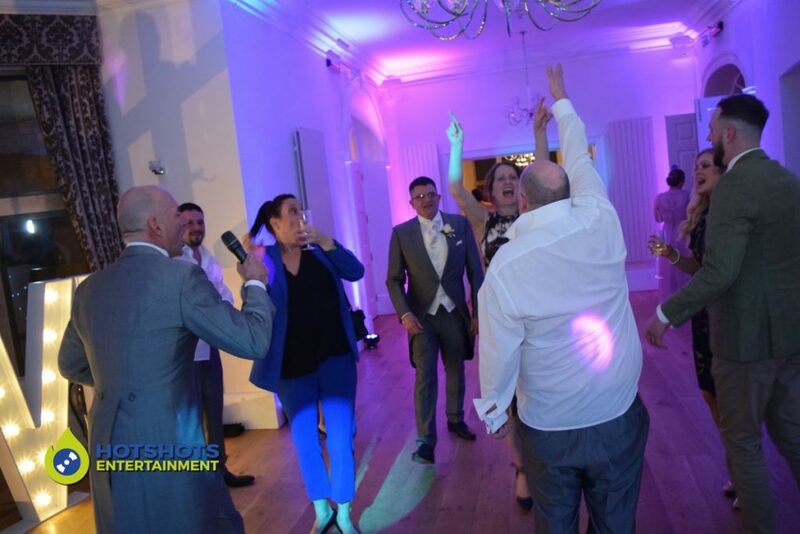 A little later on everyone came in for a dance and Leigh (groom) asked for the microphone, of course I gave it to him (thinking he was going to do a speech. But this was not the case of he goes singing to nearly every song I played after, it was such good fun to watch. Everyone was joining in singing along (sore throats in the morning). 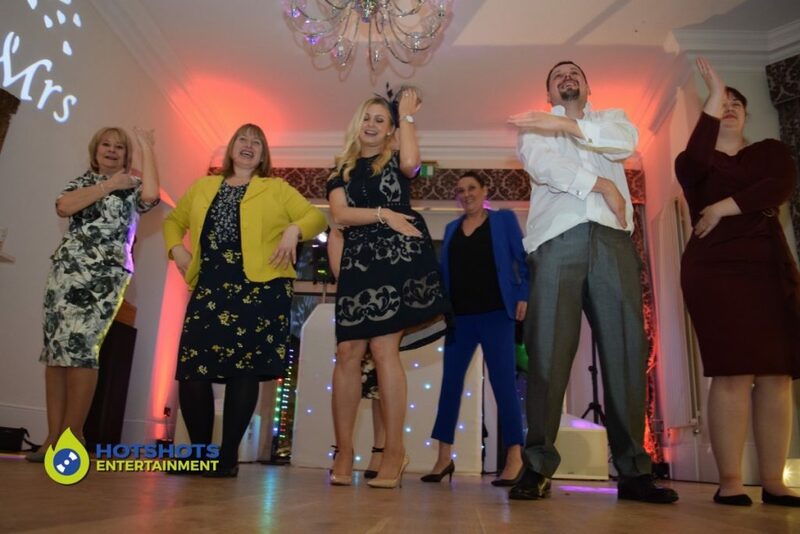 It was just an excellent evening and the guests having a great time. 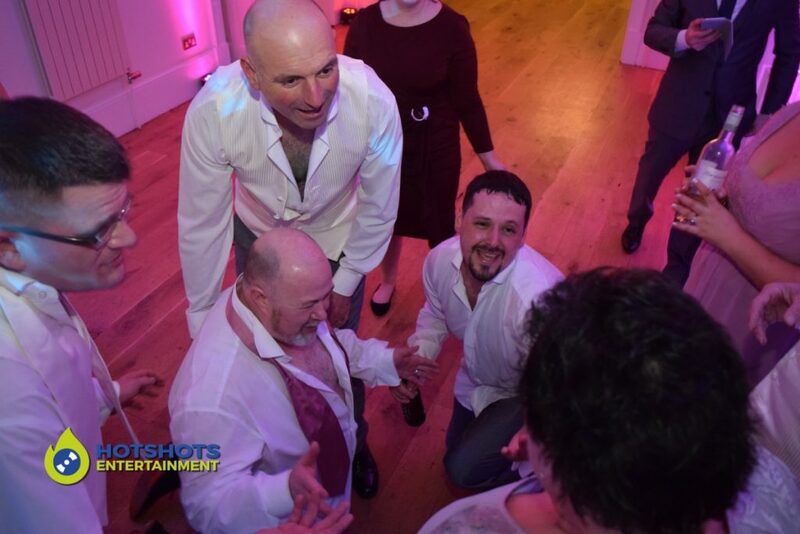 It was great when everyone was around the mother of the bride singing a little bit of queen, so great to watch. As always I did take some pictures and you can see a few below and the rest you can find HERE for the disco ones and HERE for the photo booth ones. Please tag and share with family and friends, download and even like my pages. 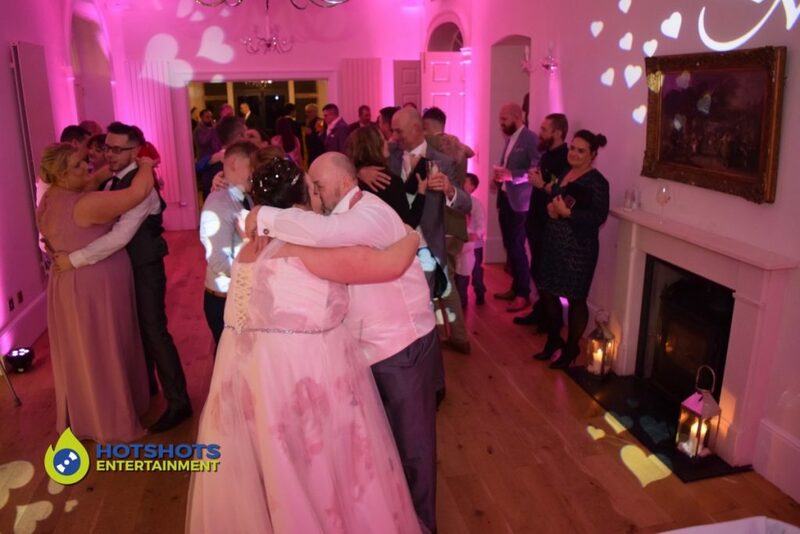 Thank you so much for booking with Hotshots Entertainment, we wish you both many years of happiness together.